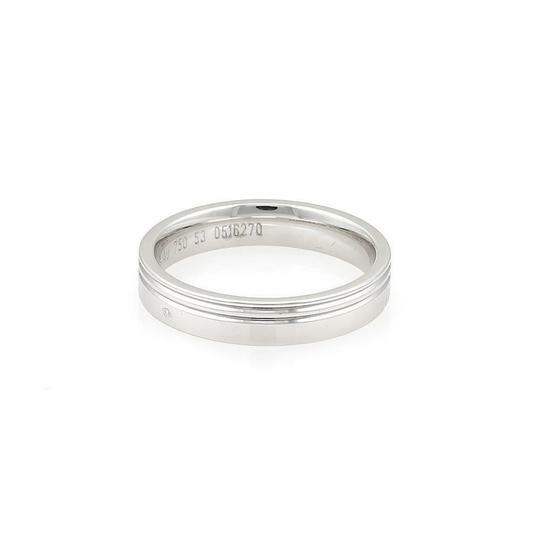 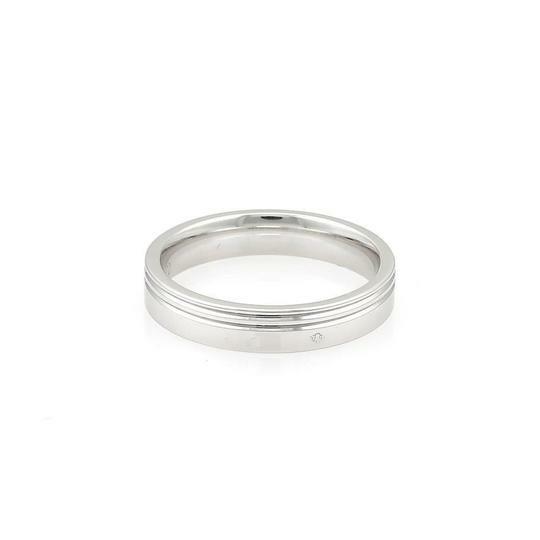 Elegant and authentic from Hermes, this lovely 4mm wide band is crafted from 18k white gold with a high polished finish. On one end of the band has a fine double grooved style for a chic look. 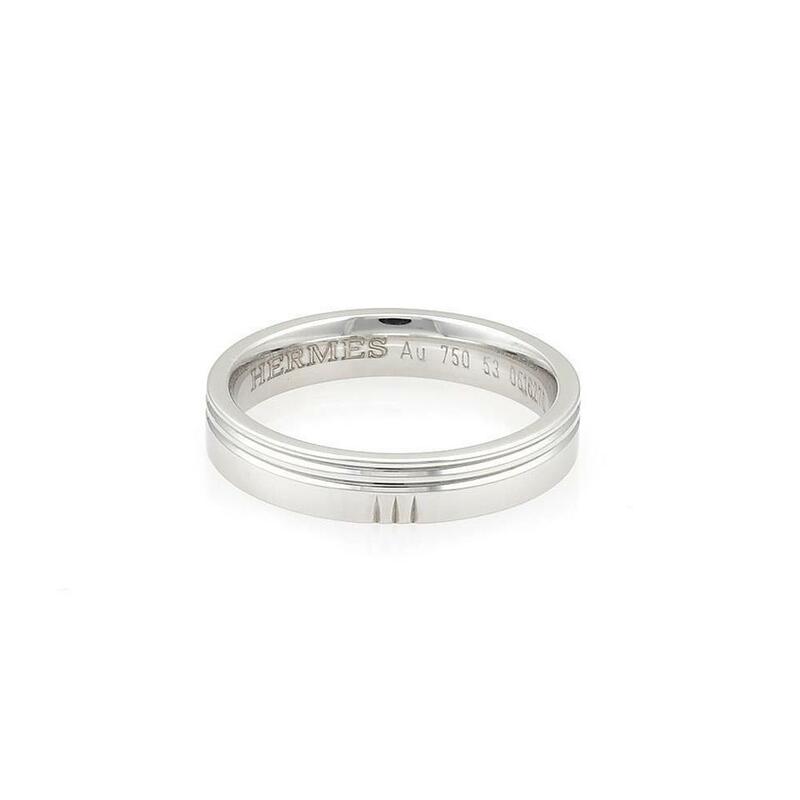 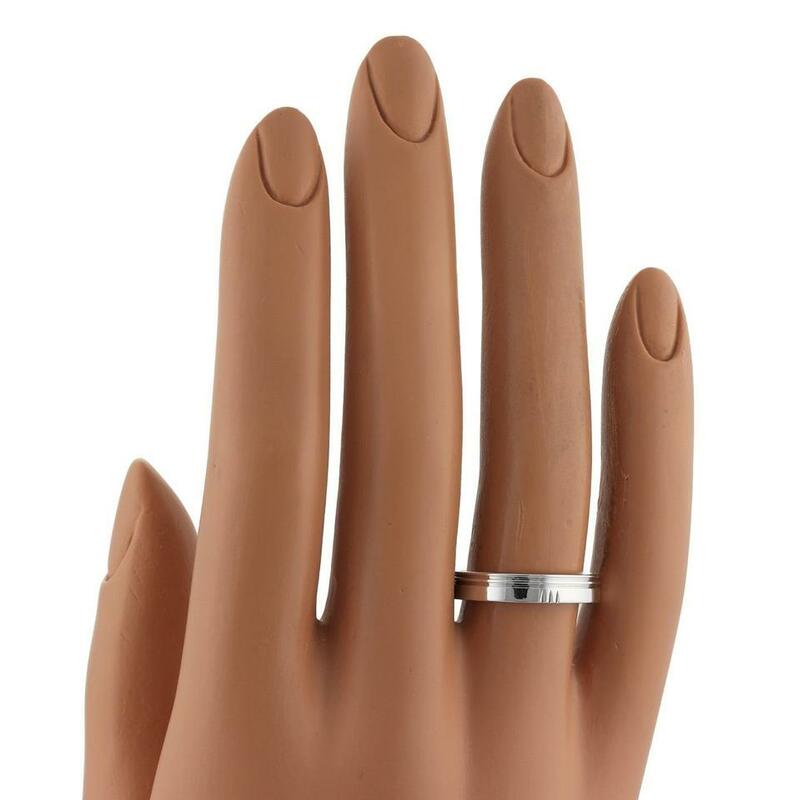 It is signed by the designer with the ring size, serial number and metal content.